In this episode, Steve Shields and I discuss some of the larger and smaller Mormon groups: fundamentalists and Cutlerites. Many of these fundamentalists practice polygamy. Steve: The FLDS has 8,000 to 10,000. The Apostolic United Brethren and has 8,000 to 10,000, somewhere in that range. Those are the two largest organized groups, organized structural institutions. I’ve heard numbers of 50 or 60,000 fundamentalist Mormons all told. There’s either some smaller, like the Centennial Park–I don’t want to call them a group because the Centennial Park priesthood affiliation, maybe as a way to talk about those. You’ve got Naylor and Nielsen. You’ve got the guy up in British Columbia, Winston Blackmore. He’s actually incorporated as the Church of Jesus Christ (Original Doctrine). That’s their corporate filing in Canada. He’s got 500 or so. Nielson and Naylor and Blackmore have been kind of doing some, they’ve not merged per se, but some cross affiliation because Nielsen and Naylor’s problem with the Jeffs family was very similar with Winston’s. So frankly, in all of the fundamentalist Mormons, there’s very little doctrinal difference, if any at all. It has to do with priesthood authority. Who has the legitimate line? GT: I talked with Anne Wilde and one things that she said was really the largest group are what she would call independent or unaffiliated. Steve: That’s right. Most of them are unaffiliated but they do fellowship with each other. You’ve got a large following: Fred Collier, Tom Green and others who believe in what they called the patriarchal order. Every father is a patriarch over his own family and has full authority to ordain his children, the male children. We’ll also discuss the only other Mormon group that has an endowment ceremony in the temple. They are sometimes referred to as the Cutlerites, named after Alpheus Cutler. 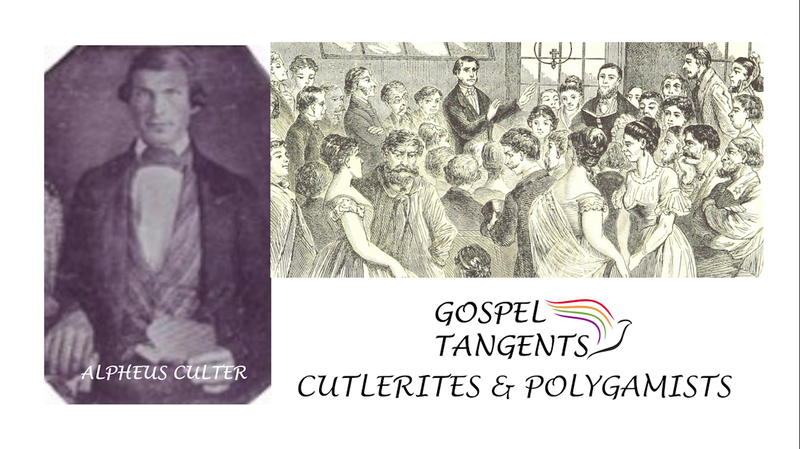 Steve: Alpheus Cutler’s church has always been small, and they do not proselytize. They don’t believe in that. Alpheus Cutler is said to have been given a revelation that in the last days there will only be two and from that small branch, God will redeem Zion. So, they don’t worry too much about that. They’re getting older. GT: They’re the ones who still have a temple ceremony. Is that right? Steve: Yes, they do. The upper room work is conducted in their building in Independence. I’ll say on a regular basis. That doesn’t mean every day or every week necessarily. I don’t know any more about it than that. Nobody does except them and I respect that. I’m very curious, of course. How big are they? Check out our conversation…. Steve Shields discusses Mormon polygamists and Cutlerites, the only other Mormon group with a temple endowment ceremony. Check out our other conversations with Steve! We’re continuing our conversation with Anne Wilde. She’s a modern-day polygamy expert. In this next conversation we’ll talk about the FLDS Church. Many of you are probably familiar with them and their prophet Warren Jeffs who is currently serving time in a Texas prison. We’ll also talk about another group called Centennial Park. These two groups: FLDS-Centennial Park are closely related and are actually neighbors in their community. Anne: Centennial Park, they now have about 2,000 members, they separated from the other main [group]—they weren’t even called FLDS until after Centennial Park separated. So that’s why they don’t like to say, “oh we separated from the FLDS,” because it wasn’t even called the FLDS at the time they separated, but technically you get the picture. GT: Ok, so Centennial Park really was the one that came out and FLDS separated from them? Anne: Well that’s what Centennial Park might say, then FLDS would say the other. It’s whoever you’re talking to. In other words, they separated. Two of the members of the priesthood council in Colorado City started the priesthood council that became Centennial Park. Many of them started a new community another mile or two south there in Arizona, and many of the Centennial Park people had homes in Colorado City/Hilldale, so they stayed there. They are there to this day but they are considered the Centennial Park group. Did you know there is quite some animosity between these groups? I have no idea what the population is of the followers of Warren Jeffs or even those that live in the town. I guess you could find out what the population is in town by talking to the mayors of Colorado City and then the mayor of Hilldale, but it’s just really in a sad state of affairs. GT: Ok, so just ballpark. Do you think it’s one half of what it used to be? Anne: I couldn’t even begin to tell you. I did read an article in the paper. They interviewed one of the former members of Warren Jeffs group and she said that she felt there were more members ex-FLDS than there were followers of Warren Jeffs oe FLDS. GT: Have they joined with other groups like Centennial Park? Anne: No. Oh no, they will not join the Centennial Park, unless it’s a very rare occasion. Centennial Park has been there to help their teenagers. They’ve offered their homes, opened them up if they needed a place to stay, but to followers of Warren, that’s the enemy because they broke away from, in their idea, from their priesthood so they don’t have priesthood. They are apostates. They consider Centennial Park, “the enemy”, whereas Centennial Park has opened up their homes if they would take advantage of it. We’ll also talk about black polygamists. Is there such a thing? GT: Ok, I’ve also heard regarding the FLDS and let’s throw the AUB in that and Centennial Park in there as well, we have the 1978 revelation of opening the priesthood to all male members of the church. 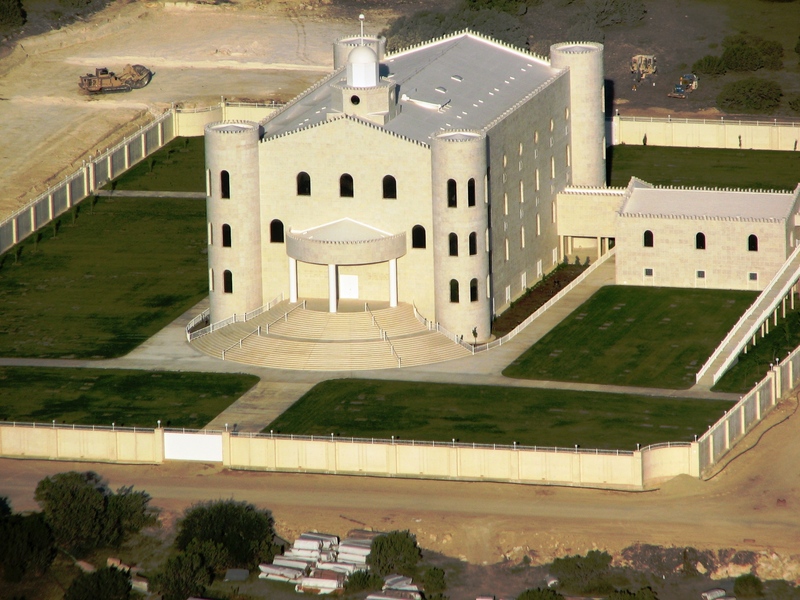 Is it true that the FLDS don’t recognize that revelation? They still believe a lot of the old Curse of Cain, Curse of Ham doctrines? Don’t forget to check out our conversation about the AUB group. Check out our conversation…..